So, if you’ve gone through our articles about “Training parameters” and “Energy systems in the body” you should know by now that depending on the different ratios of intensity, volume and density, the body will trigger different energy mechanisms and therefore, produce different end results. In this article, we will discuss one of the most sought-after end results, namely- Muscle growth. But why does hypertrophy occur? Why do our muscles grow and how exactly does that happen? Those are the exact questions we are going to answer in this article. If you’re new to training, odds are you have googled “How to gain muscle mass”. What you can find online is a huge variety of training methods and principles that are said to result in muscle growth. However, on the internet and even in muscle magazines, you will often find methods that are of strongly individual character. For example, you’ve probably seen some of those “Celebrity workouts” or “Pro athlete workouts”. Well, guess what- These workouts are specifically tailored for that person and odds are, they will be sub-optimal for you. So, generally, besides some individual factors, hypertrophy mainly depends on the following factors: Workout type, frequency, exercise selection, intensity, volume and density. But does “The pump” matter? Many people relate muscle growth directly to the feeling of blood rushing into your muscles and they go on to do immense amounts of sets and repetitions for each muscle group. And while to a certain extent that is a factor, it is also a fact that optimal muscle growth occurs when we train at about 70 to 80-85% of our maximum strength capabilities (1RM). So, we can say that doing grueling sets of 20 and more repetitions is not a requirement for optimal muscle growth and will rather result in premature fatigue and sub-optimal hypertrophy, overall. “The athlete takes 70-80% load, or a load which allows him/her to perform 6 repetitions. As the athlete adapts to the load he/she will progressively be able to perform more repetitions. When one can perform 6 repetitions, the load is increased again to enable one to perform 6 repetitions. 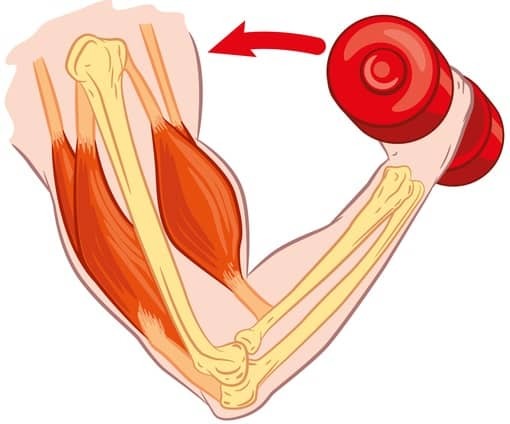 Now that we know the “Muscle pump” is one of the less important factors, we can dig into the other intra-muscular mechanisms to find out our answer as to how the muscle grows. As cited, only a part of the muscle fibers gets activated, if the intensity is insignificant- 30-40% of 1RM. As the intensity goes up, more muscle fibers get recruited, and we observe 100% muscle fiber activation at about 75-80% of our maximum strength capabilities. Generally, if we train in that intensity range (6-10 repetitions at 70~85% of 1RM), our main source of fuel used will be the energetic resources inside of our musculature. ATP, CP and muscle glycogen and for the most part, as this is a relatively short-lasting, intense activity, we do not use our liver glycogen. Once we’re done training, recovery starts taking place. 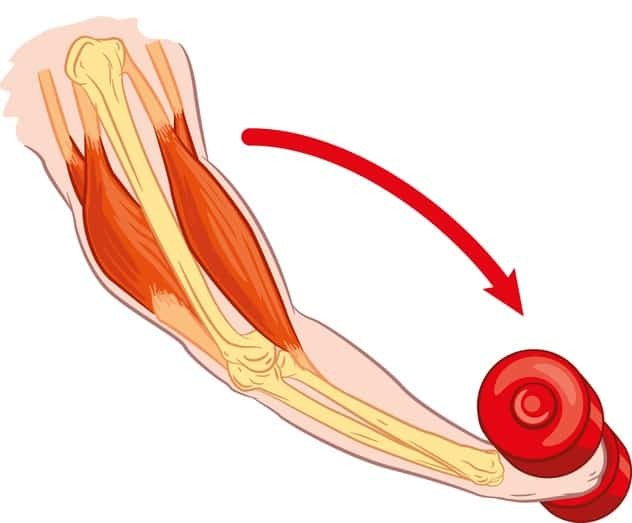 The energetic structures inside the muscles start recovering, BUT they do not hyper-recover. On the flipside however, the muscle fibers do reach a state of hyper-recovery, and this is where the answer to hypertrophy lies. Muscle growth is a result of the inability of the organism to super-compensate on an energetic level, and therefore it increases the muscle mass, getting stronger and adapting to the new, previously unknown tension. But what about even heavier weights, that exceed 85% of our maximum strength capabilities? As a whole, powerlifting training involves peak-intensity training of 85~100% of our maximum capabilities, done in the 1-3 rep range, and sometimes ~5 repetitions. Now this approach is extreme, and while intense training is a MUST, if your main goal is hypertrophy, the powerlifting approach would result in sub-optimal hypertrophy gains. Now we know that 100% of the muscle fibers are activated at 80% intensity. Further increases in intensity, in the 85~100% range is only possible not via an increase in muscle fiber recruitment, but rather an increase of neuro-muscular impulses via the central nervous system. Therefore, the powerlifting approach to training focuses on the development of the nerve pathways, rather than the musculature itself. To wrap up this topic, we will give you the essence of it all in a couple of sentences. First and foremost, the amount of blood pumped into the working musculature does NOT directly correlate to its growth (hypertrophy). The end goal of bodybuilding is basically building a harmonic, pleasing to look at physique that is within good proportions, symmetry, size, vascularity and has clear and visible muscle separations and fibers all over. Muscle hypertrophy is a result, caused by the lack of adaptation on an energetic level. When training with moderate intensity (70-80% of our maximum strength capabilities), the body uses up the energetic reserves in the muscles, which, after a workout, do not reach a state of hyper-recovery, unlike the muscle tissues. Such an approach to training (moderate to high intensity) results in muscle growth and while that is the main outcome, we secondarily observe an increase in strength as well, but that is just an accompanying aspect. Extreme intensity training (85%+ of 1RM) will mainly result in strength increases, central nervous system development and secondarily, muscular development. Make sure to check out our next, related article, where we discuss the two types of muscle growth you can achieve, by clicking HERE.